Happy Shove Tuesday aka Pancake Day !! 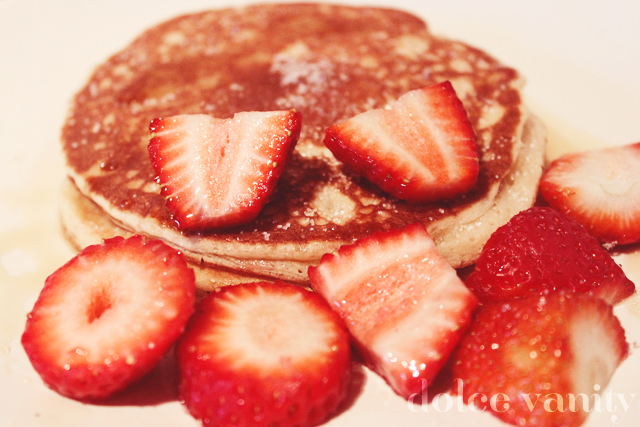 I indulged in a late lunch of pancakes, Canadian maple syrup, Strawberries and sugar. Love my indulgence day very sweet. Was reminded today about giving up something for Lent by my lovely friend Rella, which reminded me I'm giving up my craving of chocolate fingers and also makeup for ONE MONTH! Have you had any pancakes today? Are you giving up anything for Lent ? Those pancakes look tempting.. I've never made them from scratch so I want to try doing that. Have you given up makeup for a month before? Girl, try it was satisfying for the sweet tooth.